Dry ice in a special storage cooler. Dry Ice is actually the frozen form of carbon dioxide (CO2). 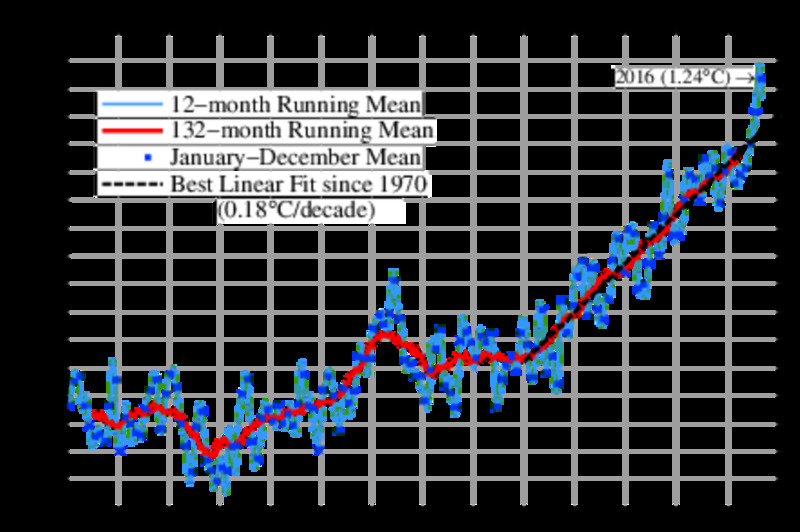 Carbon dioxide becomes a solid at -109.3oF (-78.5oC). 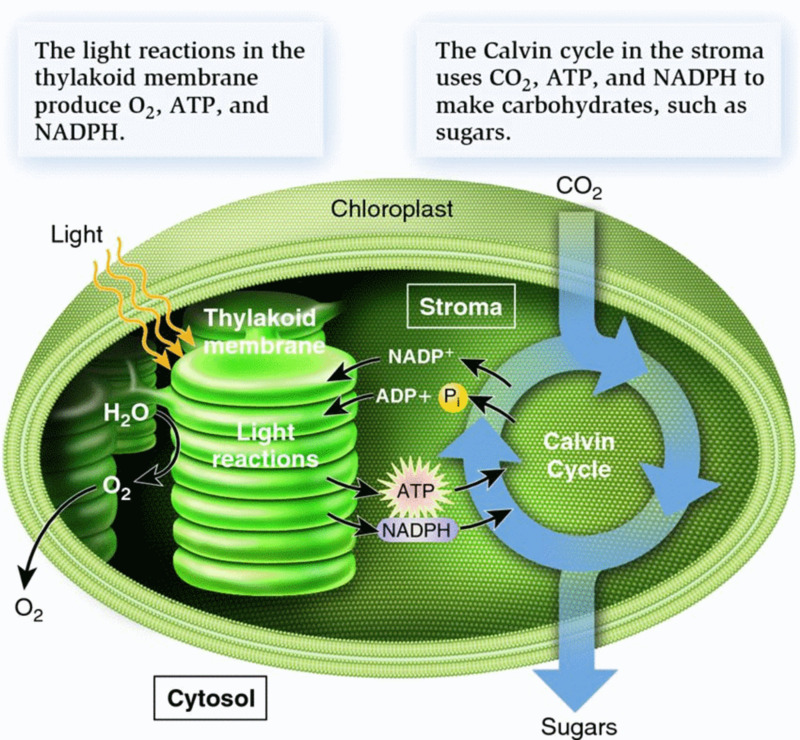 When placed at higher temperatures, carbon dioxide goes through a process called sublimation where it goes directly from the solid, frozen form into the common gas form skipping the liquid state entirely. That is how it came to be known as dry ice. It keeps things cold without leaving behind liquid. As the solid form transforms into a gas, it produces a fog that seems to roll off of the block of ice. This is the gas that is melting from the frozen form. Because of its distinct properties, dry ice has many commercial uses as well as private uses. These include special effects, science experiments, cooling and freezing, making carbonated drinks, and a variety of other household uses. Dry ice is safe to use if the proper precautions are taken. It is carbon dioxide, the same gas that we exhale when we breathe. It is not poisonous. The main safety issues concern handling dry ice. It can cause a burn if it comes into contact with bare skin. The burn is similar to freezer burn or frostbite. Wear gloves when handling dry ice. Use tongs to pick up pieces of dry ice. Do not pick up dry ice with your bear hands. Never put dry ice directly into your mouth because it will burn your mouth and lips as well as skin. Do not allow children to use dry ice unsupervised. Dry ice can damage tile countertops because of the extreme cold temperature. Don’t place dry ice directly on the counter. Use a wooden cutting board or other barrier to separate the ice from countertops. Only use dry ice in well ventilated areas. Don’t use it in closed rooms, cars, etc. If there is not enough ventilation as dry ice sublimates, the extra carbon dioxide being produced can make it difficult to get enough oxygen into the body. Breathing can become difficult and light-headedness or suffocation is possible. Do not store dry ice in sealed containers. It will expand as it melts and will cause the container to explode. Buy dry ice the day you plan to use it not more than a few hours before the event. It will not keep in normal household freezers. It will evaporate and disappear after about eight hours. Most grocery stores carry dry ice, especially at Halloween. Some grocery stores even allow you to reserve the quantity you will need. It usually costs around $1 per pound and is sold in blocks that are about 3-5 pounds. Dry ice can be used in drinks and punches. The main thing to remember is avoid letting it come into contact with your skin, lips, and mouth. Wait until just before guests arrive before adding dry ice so the effect will last through the party. For punches, put a few small pieces of dry ice in the bottom of the bowl. Add the punch ingredients on top. Sherbet and a light colored soda drink such as Sprite, Ginger Ale, or 7up make a flavorful bunch. The punch will begin to fog as the dry ice melts. Spooky fog will pour over the sides of the bowl. Avoid the dry ice as you fill the guests’ cups. Add more dry ice as needed. You can also use a separate container for the dry ice and the punch. Get two bowls, one slightly smaller than the other. Make the punch in the smaller container and then place it into the larger one. Place a few small chunks of the dry ice in the larger container. Add hot water on top of the dry ice to create the fog effect. Dry ice can be added to individual drinks as well. Some nightclubs and bars serve fogging drinks as their specialty. It is a cool effect for Halloween parties as well. Place a small piece of dry ice at the bottom of the cup. Add regular ice pieces on top of that. Then add the drink. The dry ice should melt by the time the drink is finished. Dry ice can be used to create special effects such as fog, mist, and smoking bubbles. It can also be used at Halloween and other spooky parties to give an eerie effect. To make fog, place a few pieces of dry ice in a container and cover it with hot water. Low hanging fog will begin to roll out of the container. Add more dry ice and hot water periodically to make sure the effect continues. To make smoking bubbles, put pieces of dry ice covered with hot water in a container. Add a spoonful of dishwashing liquid to the water. Large bubbles filled with smoke will start to appear. 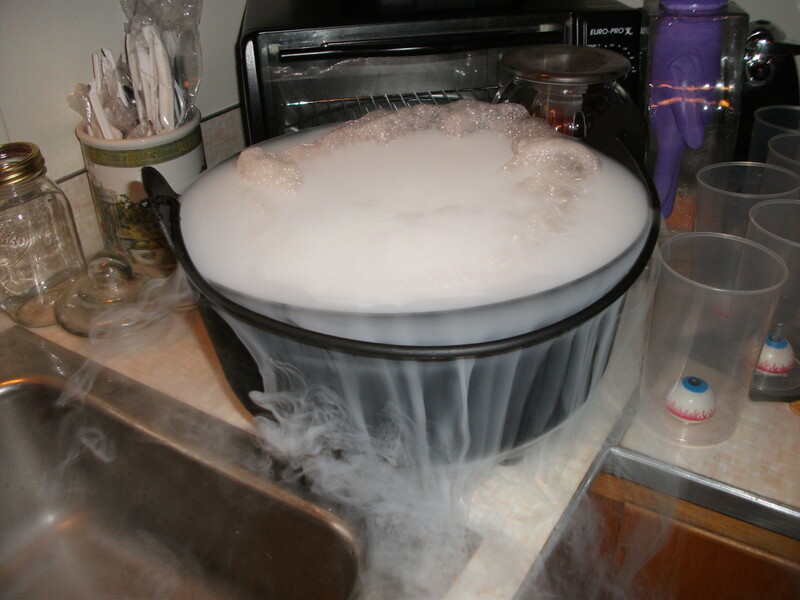 To make effects spookier for Halloween, put the dry ice and water in a witch’s cauldron or other creepy container. Food coloring can be added to make the concoction look more mysterious. Orange or green typically look the most appropriate. A small container with dry ice and water can be placed inside a pumpkin to make it appear as if mist is rolling out of the pumpkin’s mouth. Adding dry ice to test tubes with food coloring and water is a good trick to give a mad scientist effect. 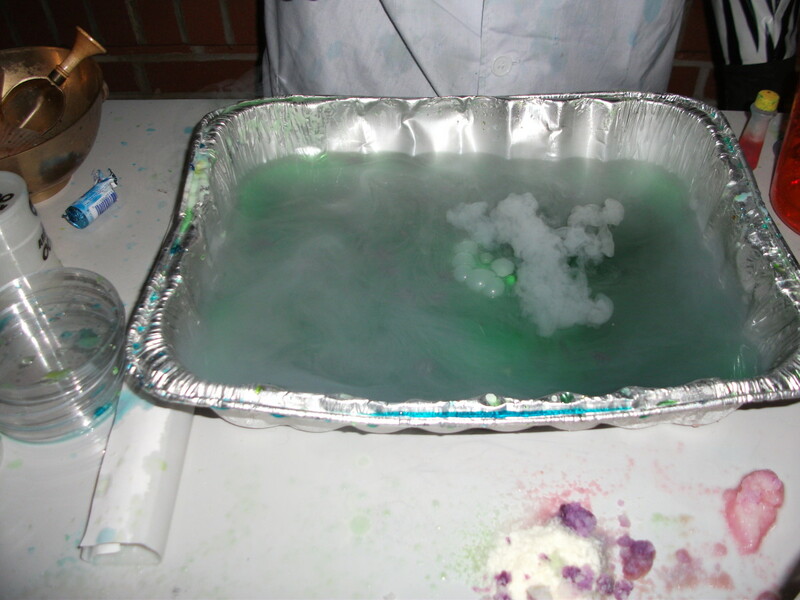 Bubbling concoction made from dry ice, baking soda, vinegar, and food coloring. Dry ice can be a fun substance to use in experiments. It has cool properties that cause it to fog and make bubbles when placed in water and other liquids. Make foggy bubbles, screaming metal, frost things over, pop the caps off containers, and more. Erupting volcanoes and bubbling test tubes are fun to watch and more fun to make. Creating strange mad scientist concoctions is simpler than you may think using stuff already in the kitchen. 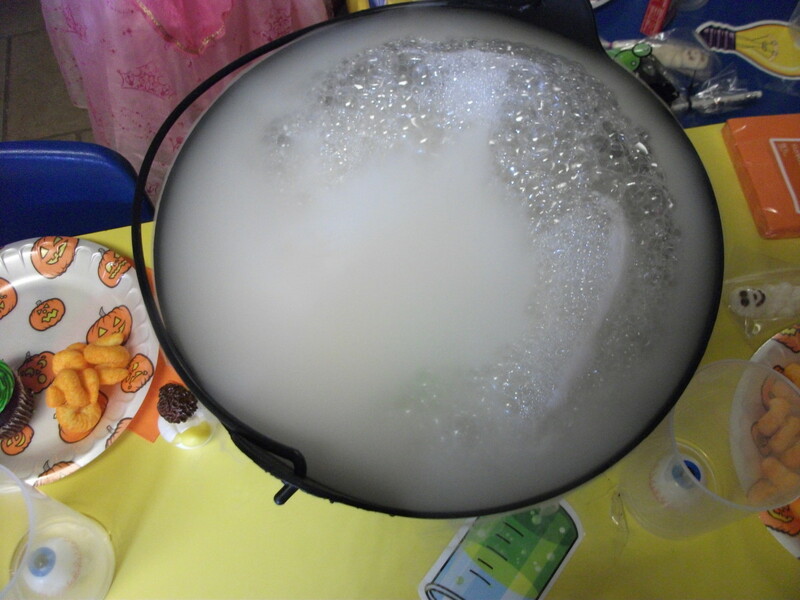 Add dish liquid to dry ice and warm water and you will create bubbles filled with smoke. See section on Special Effects above. To make a mixture straight from a mad scientist’s laboratory, mix baking soda and vinegar in a container. Add a few pieces of dry ice and watch as the potion begins to bubble and fog creeps out of the container. Use tongs to place a piece of metal such as a quarter or a washer on the dry ice. You will soon begin to hear a screaming noise coming from the metal. As the dry ice melts it causes the metal to vibrate and make the screeching sound. You can also touch a spoon to the dry ice to make the sound. Because dry ice expands as it melts, it can be used to make things explode or pop. There are several variations with this. One is to place a small piece of dry ice inside a balloon that is not inflated and then tie the balloon. Sit the balloon down and move away. The expansion of the carbon dioxide will cause the balloon to expand and eventually pop. Another variation is to put a piece of dry ice in an empty film canister. The lid will pop off as the dry ice sublimates. Wear goggles with this experiment and make sure the canister is not pointed toward anyone. Put a piece of dry ice into a drink bottle that has a pop up nozzle. Add warm water to the bottle and close the lid making sure the nozzle is up. When fog begins to escape from the nozzle, point it at a lit candle. Carbon dioxide is used in many fire extinguishers. Dry ice can be handy for cooling and freezing food, beverages and other items. It is often preferred over regular ice because it doesn’t leave behind liquid when it melts. It can also extend the life of regular ice when the two are used together. For cooling, place dry ice at the bottom of a cooler. Place regular ice on top if you are using both kinds of ice. Place food, drinks, etc. on top of the regular ice. If you are using just dry ice, make sure there is a barrier between the ice and the food. Newspaper or cardboard works well. 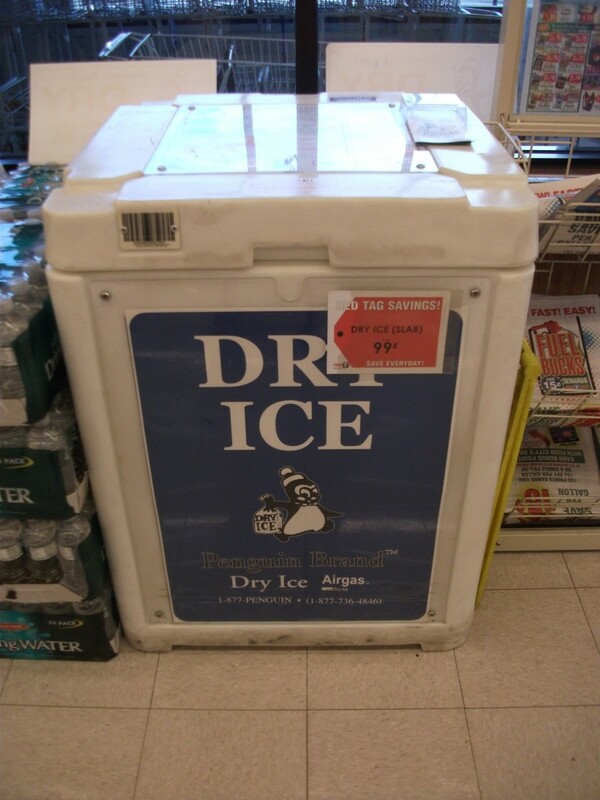 For freezing, place dry ice in the bottom of the cooler. Cover the dry ice with cardboard, newspaper, or something similar. Place the food on top of that. If the dry ice comes in direct contact with food, it could cause freezer burn damage. Fish and other game can be easily frozen with a cooler of dry ice. Fresh fruit can be flash frozen with dry ice as well. Place fruit on a tray. Put the tray on top of a cooler with dry ice on the bottom. When the fruit is frozen, it can be removed from the cooler. Carbon dioxide is the gas used to carbonate drinks. You can make your own carbonated beverages using dry ice. You can make soda water by adding it to plain water. You can also make homemade root beer with dry ice, root beer extract (available at most grocery stores), and sugar. Other flavorings can be added as well. For carbonating drinks, put the ingredients in a closed container that is about three times as large as needed. This will help the dry ice to maintain fizz. For Halloween drinks, serve the drink in a cauldron. Peeled grapes and candy bugs can be added for scare appeal. See above section for more ideas. Dry ice is sometimes used in movies to make breath visible for scenes set in cold places. There is a metal cage-like device that holds pieces of dry ice. It makes it possible to put dry ice in your mouth without harmful burning effects from dry ice. Actors can place the device in their mouths while shooting scenes. Do not try to hold dry ice in your mouth without a protective device. Dry ice can be used to keep mosquitoes away from people. Mosquitoes are attracted to carbon dioxide, which is the gas released as dry ice melts. If you are going to be outside for a cookout or other outdoor event, you can use dry ice as mosquito abatement. Place pieces of dry ice around the edge of the yard, away from where people will be. The dry ice should attract the mosquitoes and help keep them away from guests. Water wells can be treated with a mixture of dry ice and detergent to improve water flow. Doctors often use dry ice to freeze warts. 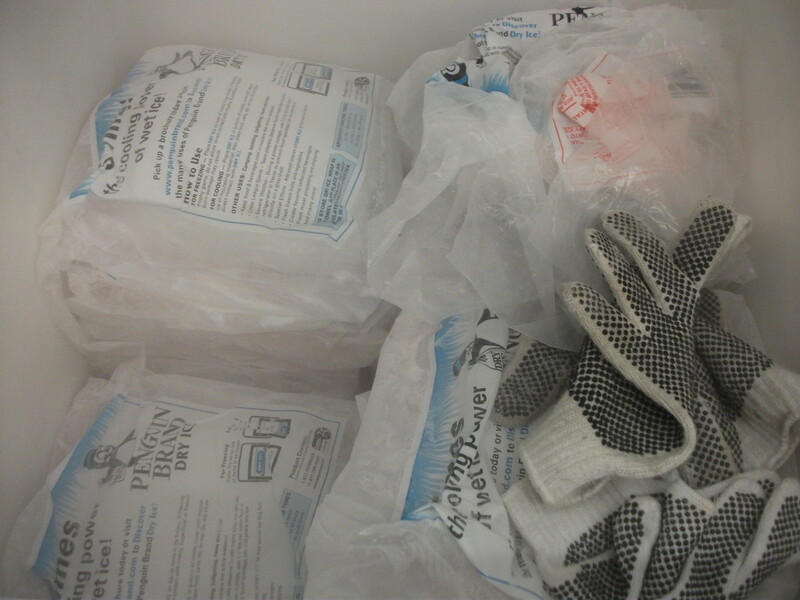 Dry ice is used by medical couriers to keep perishable medical materials cold while being transported. Find retailers near you, watch a video of cool uses for dry ice, and find out more about dry ice. Rhonda - Many grocery stores carry it, especially at Halloween. You should check with your local stores to see if they keep it in stock. Anna - Dry ice is interesting, useful, and fun. I prefer dry ice to regular ice for keeping things frozen, too. There isn't the melted water mess to clean up. Dry ice just fogs away. It keeps things cooler and it is more fun to use. Rob - the Halloween experiments are my favorite. Thanks! Awesome hub! You have a ton of good information on here. I especially like all the Halloween experiments. Great job. Wow. Sorry you had to use your bare hands. I bet that was painful. Very cool hub about the many uses for Dry Ice. I used to have to handle Dry Ice with my bare hands. More than a split second of contact will quickly burn you. Man is it cold. Thanks Dale. I checked out your blog. I like what you are doing with it. What a great hub. In the industry I work in we use dry ice as well as nitrogen. We use it in very large amounts. One thing we need to be aware of in the amounts we use is it starves the oxygen out of the air. Walking into a cloud can actually suffocate you. Anyways the hub is now up on my blog. Dandy reference info - thanks for putting it together. You did a terrific job with the subject!